Injured workers in Delaware have rights if they are hurt on the job or while carrying out a work related activity. Those rights need to be protected. According to Delaware workers compensation law, employees who suffer a work injury may be entitled to benefits and financial compensation for their injuries, lost wages and medical costs. Having a Wilmington, Delaware workers’ compensation lawyer on your side will give you peace of mind knowing that you will get all benefits you deserve. The Wilmington, Delaware workers’ compensation attorneys at The Freibott Law Firm, P.A., located in Wilmington, Delaware is a full-service workers’ compensation practice for the benefit of clients throughout New Castle County, Kent County and Sussex County, Delaware. We represent injured workers and family members of deceased workers. Call (302) 633-9000 for a free consultation with our award winning Wilmington, Delaware workers compensation lawyers. Medical benefits: Under Delaware workers’ compensation laws, injured Delaware workers are allowed to see a doctor of their choice. They also have a right to have all necessary medical services covered. Lost wages: Those hurt at work in Delaware may be entitled to lost wage compensation. Our Newark workers compensation lawyers will help you seek benefits for temporary total disability and temporary partial disability. Disfigurement: Delaware workers’ compensation laws provide compensation for workers who have suffered scarring or disfigurement as a result of a work-related accident. Death benefits: If a worker is fatally injured in a Delaware workplace accident, that person’s family has a right to pursue death benefits. We handle death benefits claims and survival claims on behalf of clients. Permanent impairment: If you have suffered a permanent impairment, such as a loss of limb or permanent damage to your neck, back, arms or legs, you may be entitled to receive permanent impairment benefits. We work diligently for each client we represent and strive to provide the highest standards of legal service. Our Dover workers’ compensation lawyers are experienced and compassionate. If you or a loved one has suffered an injury in a workplace accident, we are pleased to offer a free consultation to discuss your legal needs. Why Retain A Workers' Compensation Attorney? What Does It Cost To Retain A Work Comp Lawyer? What Is The Value Of My Workers' Comp Claim? Can I Be Fired For Filing A Work Comp Claim? Can I File A Claim If I Was Injured On The Way To Or From Work? What If I Was Hurt At Work And A Subsequent Injury Was Incurred? This is a common concern among injured Delaware employees. From a legal standpoint, you do not have to retain a workers’ compensation lawyer. Delaware workers’ compensation laws does not require that you obtain legal counsel. You can file the claim yourself. However, the Delaware workers’ compensation system, like all areas of law, is very complex and if you file the claim yourself you may very well jeopardize your case. A Delaware workers’ compensation claim needs to be handled by an experienced attorney. If there is one aspect of the claim filing process you overlook or do incorrectly you can disqualify yourself from obtaining benefits. This is another common concern work injury victims have. It costs nothing out of pocket to hire a Georgetown, Delaware, workers compensation lawyer at The Freibott Law Firm. We handle all accident, injury, workers’ compensation and wrongful death claims on a contingency fee basis. This means we cover any and all costs associated with your claim. We charge no fees of any kind unless we recover benefits, damages and financial compensation for you and your family. The true, current and future dollar value of your claim is a very difficult and very time consuming task. It is almost impossible to determine the value of an injury claim immediately after the accident. Some injuries may take longer to present and you may feel fine immediately following the accident. When determining the full value of your claim, our workers’ compensation lawyers will take all factors into consideration. These include: lost wages (current and future), medical expenses (current and future), and disability benefits. Ensuring that you get the maximum amount of compensation and benefits is another reason why it makes sense to retain our Newark Delaware workers’ compensation lawyers. No, you absolutely cannot! If you have been fired, laid off or experienced a change in your hours, shifts or job description as a result of having filed a workers’ compensation claim in Delaware, contact the workers’ compensation lawyers at The Freibott Law Firm. Delaware Labor laws explicitly prohibit an injured worker being fired, or otherwise retaliated against, for filing a work compensation claim. That depends. Delaware, like other states, has laws in place that pertain to injuries sustained on the way to work, from work or running a work related errand. These laws are explained via Delaware’s Coming and Going Rule. Our Seaford, Delaware workers’ compensation lawyers will analyze your claim and decide if you have a case. The State of Delaware has a Subsequent Injury Fund for cases like these. Rather than try to decide for yourself if this fund is applicable in your case, please contact our Millsboro Delaware, workers’ compensation lawyers and let them review your case. They will do everything in their power to get you the benefits and financial compensation you deserve. You may assume incorrectly that there is nothing you can apply to improve your situation or even better your says post-accident. That is not really true. Consult with any Delaware auto accident lawyer immediately. It is smart to request an initial discussion with one or more Wilmington DE car accident law firms as soon after your own personal wreck as possible. You need to do this only following appropriate medical treatment will be obtained and finished. Our lawyers may help you understand your proper rights and options, as well as how to best protect your personal legal interests post-accident. Delaware workers who are damaged on the job have a right in law to pursue workers' compensation benefits. These kind of benefits cover the price of medical care and misplaced wages. Workers’ compensation is a form of insurance policy providing wage alternative and medical benefits in order to employees injured in the course of employment in exchange for mandatory relinquishment of the employee’s right to prosecute his or her employer for any tort of disregard. While various ideas differ, provision could be made for weekly bills in place of wages, settlement for past and also future economic damage, reimbursement or payment of medical and similar to expenses, and benefits payable to the household of workers slain during employment. The idea for workers’ reimbursement insurance is that the decline suffered by a staff due to an manufacturing injury should be début directly by the business in which the employee ended up being hired and circuitously by the general public. So, workers’ compensation is really a “no fault” process and an wounded employee need not set up that his supervisor was negligent so that you can receive a compensation merit. Suffering a serious injury can be a difficult experience for injury victims and their families. Depending on the extent and seriousness of a person’s damage, he or she may need to look for costly medical treatment in order to recover from his or her injuries or at least stabilize typically the individual’s health. This can possilby be necessary to neglect considerable amounts of work while recovering from typically the injury, leading to a new loss of wages that may put the person in the stressful financial situation. Accidents happen, of course , and a few injuries are simply unavoidable. However , in many cases, the negligence or irresponsibility of others causes an otherwise preventable problems for occur. In these situations, injury victims often have a right to go after compensation from the individual or party at fault. 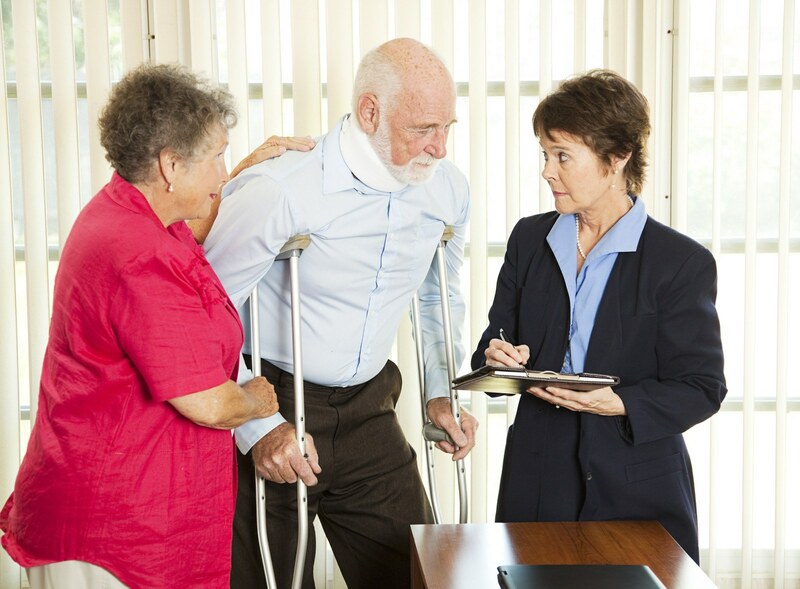 If you have suffered an overuse injury caused by someone else, the actual legal team on the Freibott Law Firm will help you seek justice in addition to secure the full economical compensation you ought to have. Suffering a serious personal injury can be a difficult experience for injury patients and their families. According to the extent and severeness of a person’s damage, he or she may need to seek costly medical treatment in order to recover from his or her injuries or at least stabilize the particular individual’s health. This can possilby be necessary to skip considerable amounts of perform while recovering from the injury, leading to a new loss of wages that could put the person in the stressful financial situation. Accidents happen, of course , and several injuries are simply inescapable. However , in many cases, the particular negligence or irresponsibility of others will cause an otherwise preventable problems for occur. In these scenarios, injury victims may have a right to do compensation from the man or woman or party the culprit. If you have suffered an accident caused by someone else, typically the legal team with the Freibott Law Firm will help you seek justice as well as secure the full monetary compensation you should have. You may assume improperly that there is nothing that can be done to improve your situation or better your promises post-accident. That is not true. Consult with the Delaware auto accident legal professional immediately. It is a smart idea to request an initial consultation with one or more Wilmington DE car accident law firms as soon after your own personal wreck as possible. It is best to do this only soon after appropriate medical treatment will be obtained and finished. Our lawyers can help you understand your legal rights and options, and the way to best protect your legal interests post-accident. Delaware workers who are wounded on the job have a right in law to pursue workers' compensation benefits. These kinds of benefits cover the price tag on medical care and missing wages. Workers’ compensation is a form of insurance plan providing wage replacing and medical benefits for you to employees injured during employment in exchange to get mandatory relinquishment in the employee’s right to prosecute his or her employer for any tort of negligence. While various plans differ, provision can be made for weekly payments in place of wages, payment for past along with future economic burning, reimbursement or repayment of medical and like expenses, and gains payable to the household of workers killed during employment. The idea for workers’ reimbursement insurance is that the loss suffered by a staff due to an professional injury should be paid for directly by the business in which the employee has been hired and ultimately by the general public. As such, workers’ compensation is a “no fault” method and an hurt employee need not establish that his workplace was negligent so that you can receive a compensation award. Delaware workers who are hurt on the job have a right to pursue workers' compensation benefits. These types of benefits cover the price tag on medical care and missing wages. Workers’ pay out is a form of insurance policies providing wage replacing and medical benefits to be able to employees injured for the duration of employment in exchange to get mandatory relinquishment from the employee’s right to sue his or her employer for your tort of neglect. While various options differ, provision can be made for weekly bills in place of wages, payment for past and future economic decline, reimbursement or payment of medical and like expenses, and advantages payable to the household of workers killed during employment. The theory for workers’ pay out insurance is that the decline suffered by a workforce due to an manufacturing injury should be limite directly by the marketplace in which the employee had been hired and ultimately by the general public. Therefore, workers’ compensation can be a “no fault” technique and an injured employee need not create that his supervisor was negligent as a way to receive a compensation award.